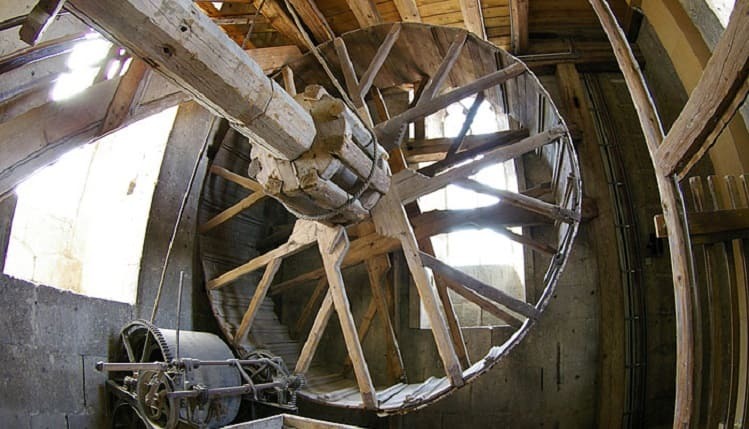 Medieval Treadwheel Cranes in Germany: The treadwheel cranes were used by architects and engineers from the times of the Romans. Probably some stopped being used only at the beginning of the 20th century. This is a detail of those that still exist. 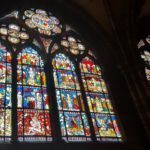 Some are original and have a thousand years of antiquity. A few others were rebuilt. These are the five medieval treadmill cranes existing today in Germany. All are worth knowing and if possible visit them. 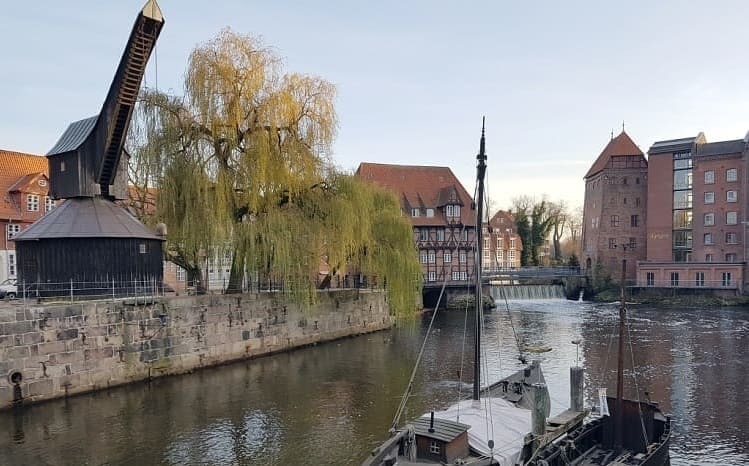 The old crane in the old port of Ilmenau in Lüneburg (4) was mentioned for the first time in documents in 1330. Considered in its time one of the most efficient cranes in northern Germany, it is 15 meters high and could hoist 9 tons. The Medieval Treadwheel Crane was used mainly for the transport of salt and salting herring from department stores. Also firewood and merchandise. The crane was used until 1860 and the current state is operable but not used. In 1840, the Treadwheel crane lifted its heaviest load on land: a steam locomotive for the Ducal Braunschweig State Railway. The locomotive was manufactured by George Forrester & Company (11) in England and transported by water to Germany. The weight of the locomotive was estimated around 9 tons. To operate the wheel crane, 38 men were needed at that time. As a load test, before the locomotive, a package with 80 railway tracks weighing about 9.2 tons (20,300 pounds) was made. 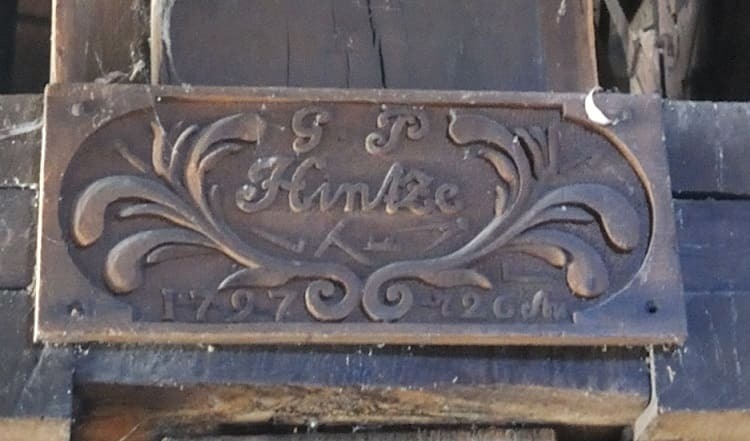 The crane was rebuilt in the summer of 1797 by Master Carpenter GP Hintze as it appears on the plate. 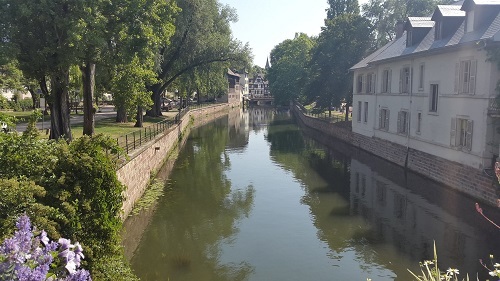 With the construction of the Hamburg-Hannover railway line (12), which arrived in Lüneburg in 1847, the transport of goods to and from Lüneburg went quickly from the waterway to the railways. As a result, the port and, therefore, also the crane quickly lost importance. 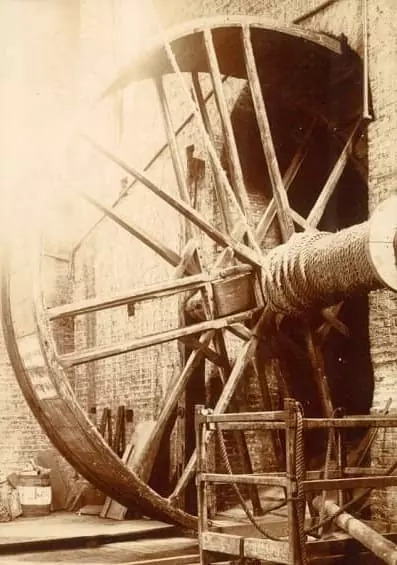 In 1860, the treadwheel crane stopped working for economic reasons. 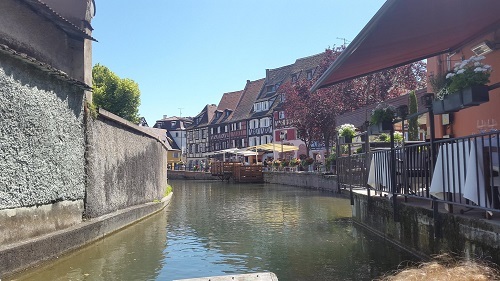 The construction and operation of a treadwheel crane in Germany, was until the nineteenth century absolutely, an archbishop’s privilege in this area. Only a few cities in Rheingau and in other German areas had the right to operate a loading device. 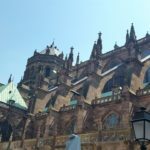 We will cite Cologne, Trier, Würzburg, Andernach, Bingen am Rhein, Stade and Hamburg, as cities, without doubt privileged. 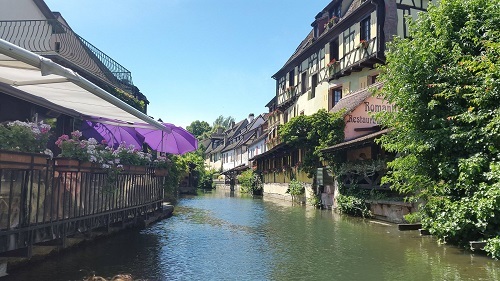 In the Rheingau region in the 15th century, only Eltville, Rüdesheim and Lorch obtained this privilege. 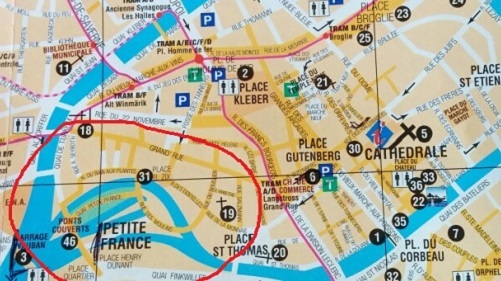 The Oestricher Wheel Crane is located on the right bank of the Rhine River, at kilometer 518.1, near Federal Highway 42. 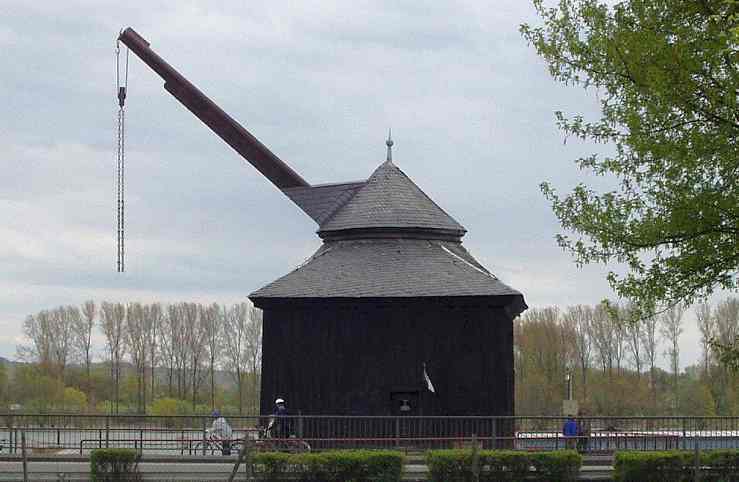 All treadwheelcranes from Rheingau and elsewhere, such as Trier and Andernach, were initially floating wooden cranes. These cranes were generally very prone to deterioration due to constant exposure to water and ice in winter. 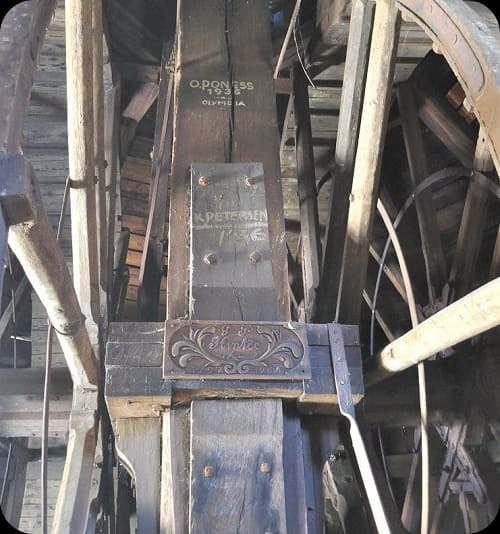 This port treadwheel crane was begun to be built in 1744 (10). The boom of the crane is 12 meters. It has a conical roof to protect the crane. The conical roof with the ball and the tip of the roof is firmly connected to the upper end of a central column of vertical crane. Inside the crane house, there is a double wheel. The operation was in charge of two people per side. The operating staff was well paid and affiliated with a guild called Aufläder. The load capacity of the wheel crane was approximately 2.5 tons. The crane today is functional. 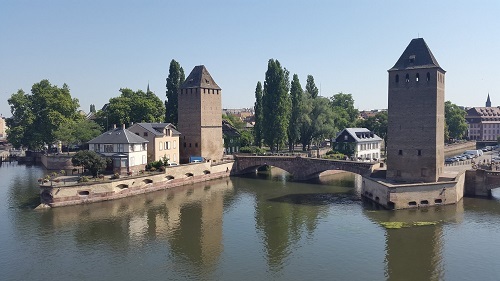 Alte Krahnen, also called Trierer Alter Moselkran, is a harbor treadwheel crane located in Trier. 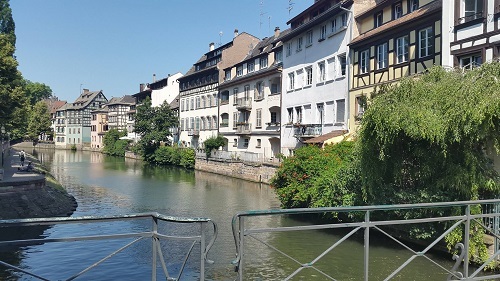 The stone building dates from 1413 and is located on the right side of the Moselle River. The design is a tower-type wheel crane, with two wheels that are 4.16 meters in diameter. A double boom drives the crane. Initially it was equipped with a single feather, and since 1778 with a second feather as a counterweight. 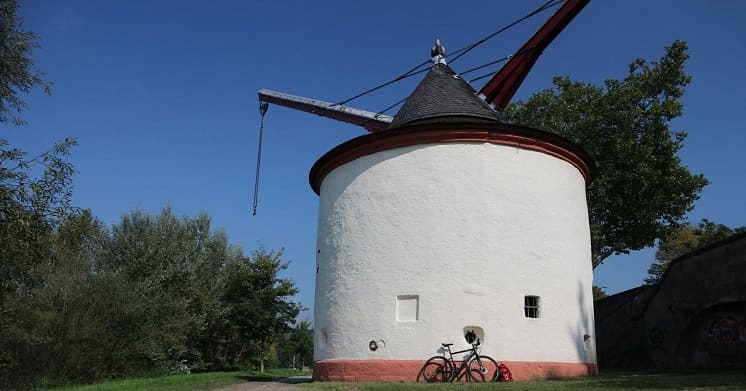 It has a rotating conical roof on a vertical axis of wood called Kaiserbaum 12 meters long. The conical roof is 360 ° rotating with two balancing arms and single pulley chain. It has in iron spikes and chain of drum with chain and simple pulley. Its estimated load capacity is two tons. 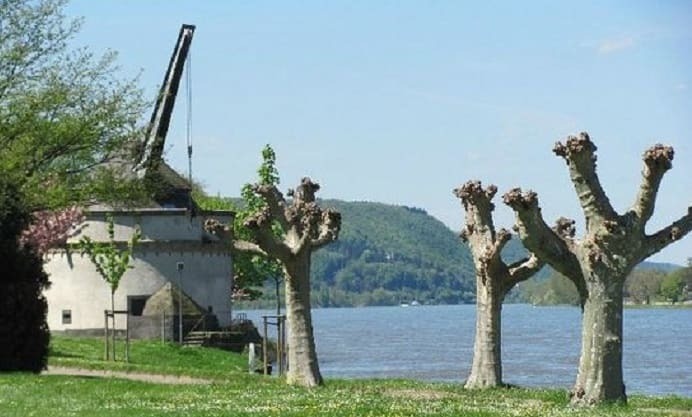 It has similarities with another crane of the same name “Alte Krahnen” in Andernach (10), also built in stone in Gothic style, although this crane is 100 years older. The oak gear of the crane house (Kranhaus) dates back to 1763. 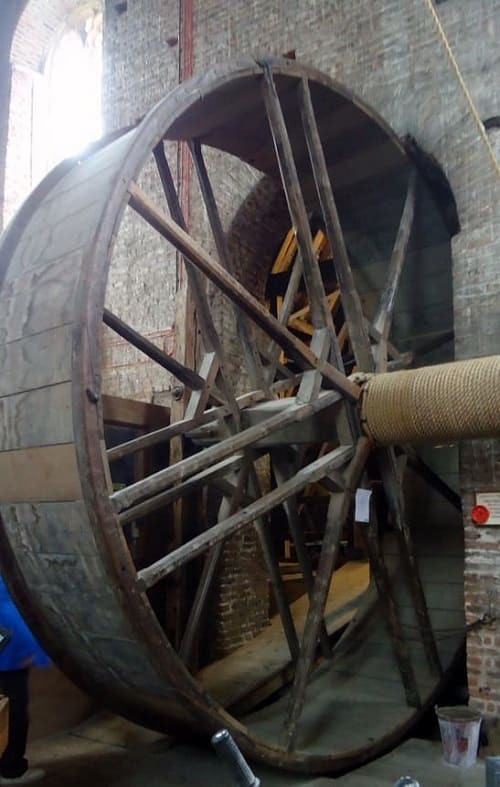 The treadwheel crane was damaged (although it was not destroyed) in 1944 by the war and in 1984 it was restored. 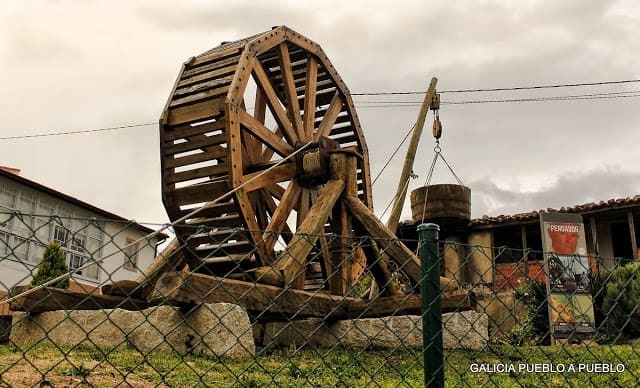 The treadwheel crane was built between 1554 and 1561, was used until 1911 and is located at kilometer 613.8 of the Rín River. The crane house measures 10.70 meters outside diameter and 8.70 meters inside diameter. The walls are made of stone and have a thickness of 2 meters. The Andernacher Krahnen was the largest loading device among approximately 80 cranes in 32 locations in the inland waters of Germany and served for 350 years until 1911. At present it can only be seen from the outside. You can not visit. 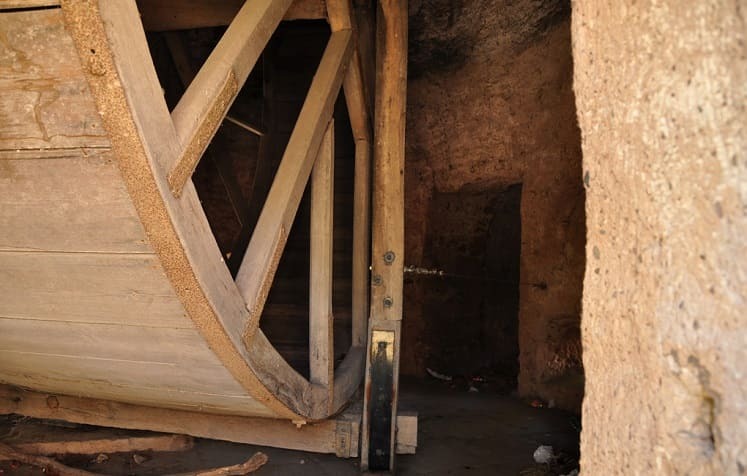 The medieval treadwheel crane consists of two wheels of oak wood 4.2 meters in diameter and 1.2 meters wide. The boom, which extends from the upper half of the pillar of the crane through the rotating roof, is formed by two heavy oak beams with support struts coated with lead sheet. It should be noted that the lifting capacity of the crane was estimated at 3.2 tons. The central drive shaft that joins the two wheels is 0.6 meters in diameter. On that axis a chain was wound (originally Rope). The usual load to hoist were millstones and wine barrels. The roof is rotating, conical and covered in slate. As a novelty to the house of the treadwheel crane is also added a pyramid-shaped basalt icebreaker. This icebreaker stretched up to the height of the window to protect against drift from the ice. The load and lift pen is made of a solid oak trunk, 0.64 meters in diameter and 10 meters high. It is also called “Kaiserbaum” or “support tree”. Like the wheel crane of Gdańsk, this means of hoisting belongs to the category of cranes, which due to its height was also suitable for the installation of ship masts. 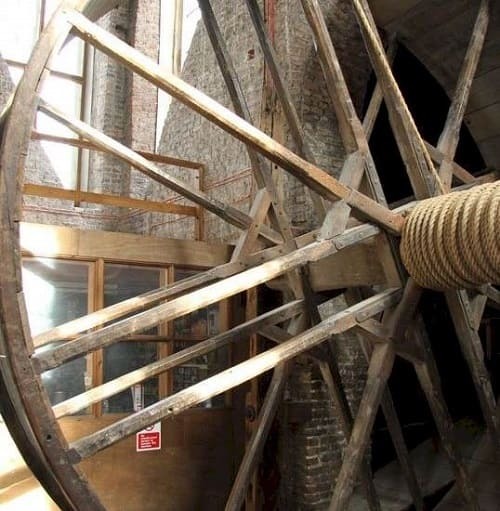 In the level 35.60 meters there is a treadwheel crane that was used for the construction of the tower. Apparently the operators of the crane were all prisoners. 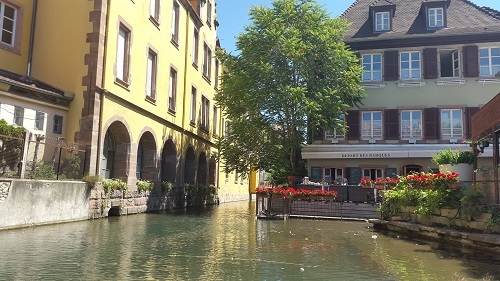 The council of the city of Nördlingen decided to build the church of St. George on October 17, 1427. 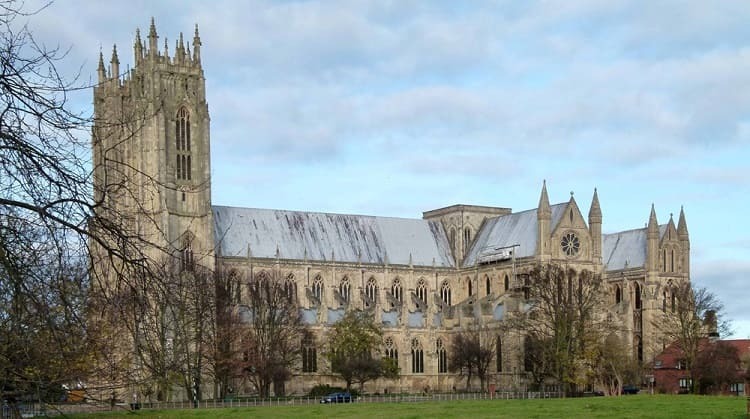 The choir of the church’s hall was completed in 1451, and in 1454 the construction of the tower began. The high altar of Friedrich Herlin was completed in 1462, the tower in 1490. With the completion of the vault in 1505, construction was completed. 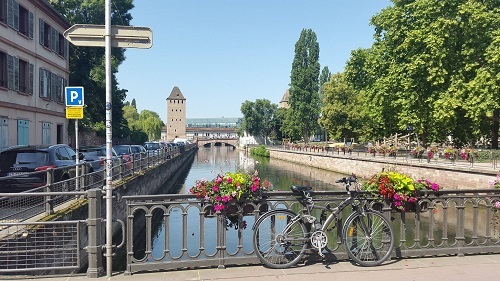 As a result, Nördlingen joined the Reformation under the Church of St. George became a Protestant church in 1523. The first restoration of the church took place between 1877 and 1887. In March 1945 a bomb destroyed the clock. More recently, the church and the tower were restored between the years 1971-1977.